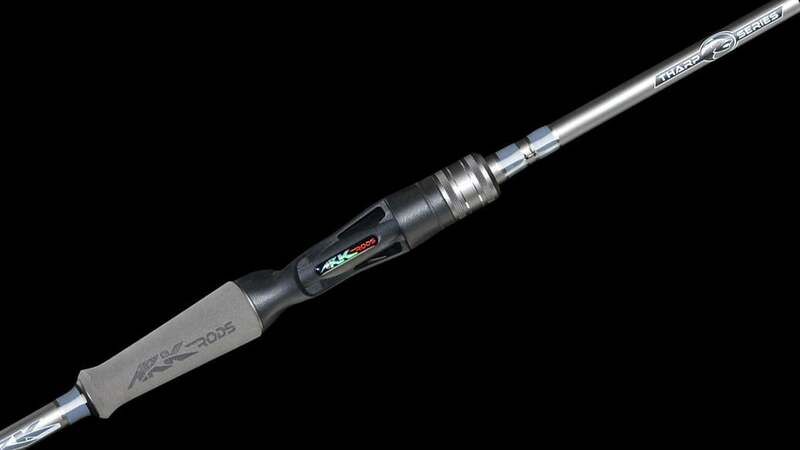 Great price, great actions/powers and great cosmetics for a well-rounded rod at $129. 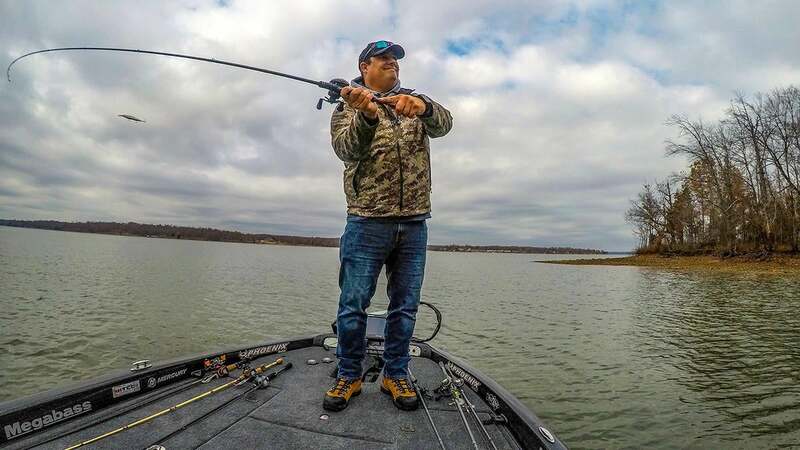 Randall Tharp worked with Ark Rods to design a new bass fishing rod series that gave Tharp the tools he needed for the ways he likes to bass fish on the professional circuits but also gave regular anglers a rod with a unique build at a decent price point. 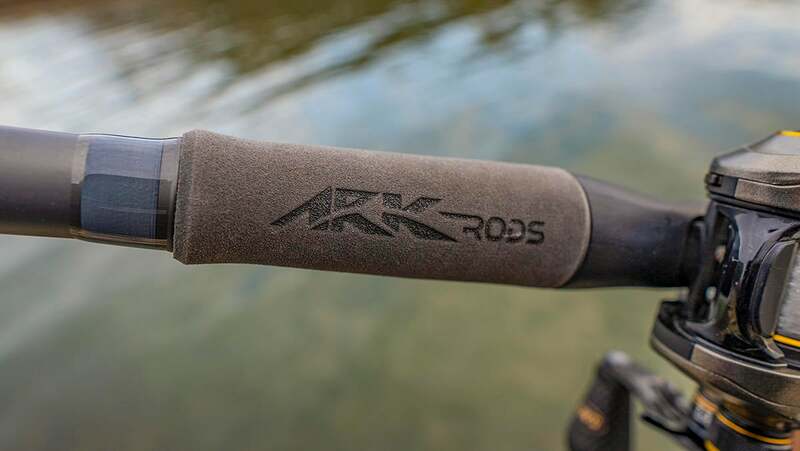 The Ark Rods Tharp Series consists of 12 rods (2 spinning, 8 casting) for a wide array of bass fishing scenarios. 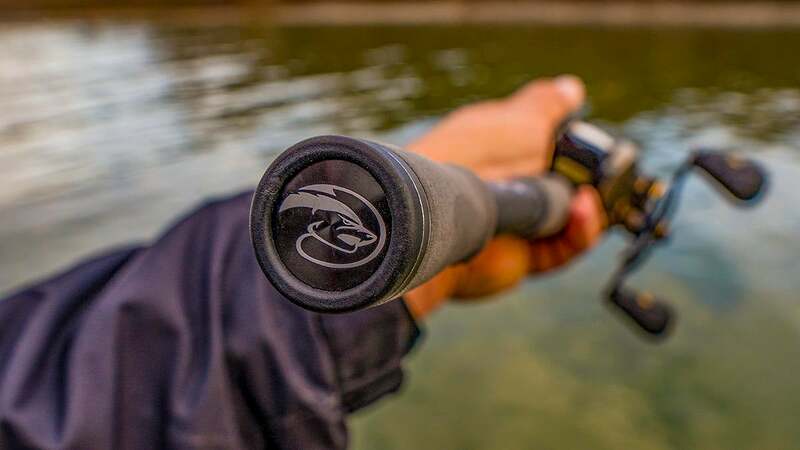 The rods feature 40-ton modulus carbon fiber material with a custom MDML (multi-directional, multi-layer) pattern that makes the rods lighter, stronger and more sensitive. All at the $129 price point. 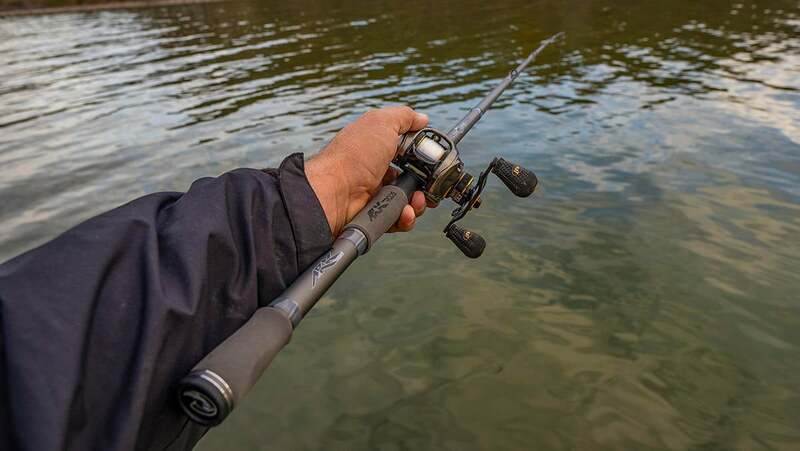 The Tharp Series features 9 standard high-modulus graphite carbon fiber rods with 3 composite glass graphite combinations that give the rods a softer load for certain applications. 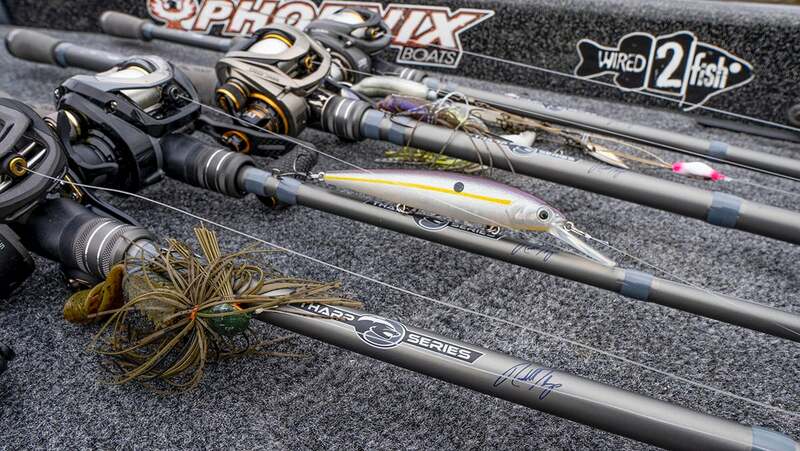 The lengths, powers, actions, tapers and handles give this rod line a unique blend of performance based actions geared to multiple applications in bass fishing. 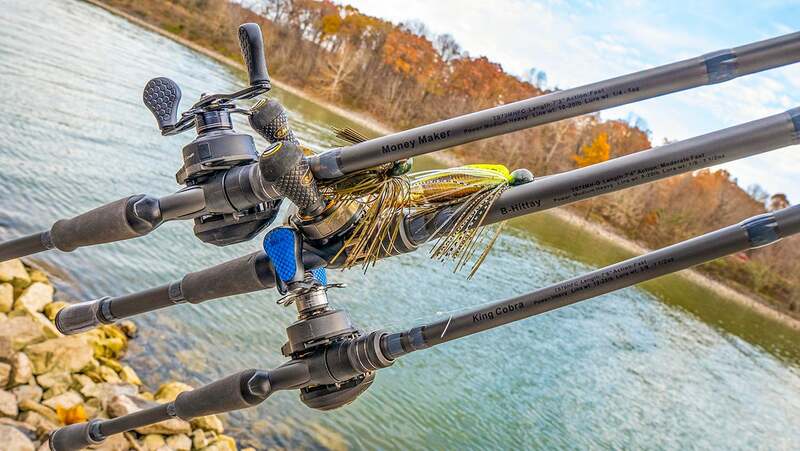 From 7-foot, 6-inch King Cobra heavy power rod for flipping and pitching to the 7-foot, 4-inch MH B-Hittay composite glass rod for Chatterbait fishing like Randall Tharp learned from expert Brett Hite, these rods are designed with very specific requirements for how Tharp likes to fish different baits. That means a little more backbone on a square bill rod. A little more length on a flipping or punching rod and more. For instance, I've been throwing a jerkbait a lot on the 6-foot, 9-inch One Eyed Jack, and it's a little different than other jerkbait sticks I throw this time of year. It doesn't seem as flimsy but was very pliable when landing a couple nice bass over 5 pounds last week on 10-pound line and tiny treble hooks. The handles are custom molded and detailed EVA foam to meet Tharp's requirement for grip and comfort on long days of practice and grinding it out in tournaments over the course of a season. The denser foam provides a comfortable, light seat but doesn't dampen the sensitivity of the rods. I've been really impressed with how well these grips feel in your hand. 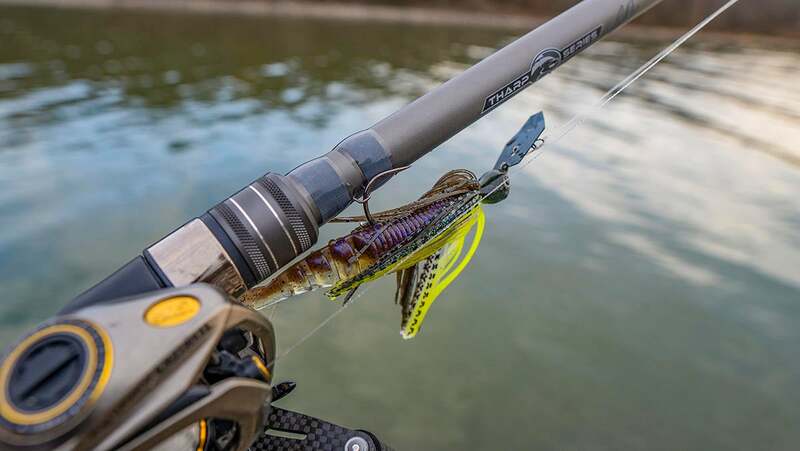 The Tharp Rods employ Fuji Concept K guides with the newest F Ring inserts for ultra smooth performance on the cast with frictionless retrieves and added sensitivity to the overall blank transmission to the angler's hand. Tharp's nickname is the Honey Badger after the popular narrated nature documentary video surfaced on the internet a few years ago, and the description in that video of a honey badger seemed to fit Tharp's no-nonsense demeanor. The rod butts on the Tharp Series feature the Honey Badger logo that has come to be associated with Tharp over the years. The Tharp Series also feature lure keepers with a closed loop just above the reel seat foregrip. The foregrip is solid and holds the reel tightly in place. The reels hold well in the reel seat, and you don't have to worry with hanging your line on the lure keeper on the cast or while working a bait. The Tharp Series rods load well, cast well and fish well. They are not spongy. Even the jerkbait and Chatterbait rods seem to have a little extra backbone. Tharp has made a killing with a jig, a swim jig, punching, flipping, pitching and grinding. All power presentations that require a little more meat to get the job done. These rods are a little more powerful I felt. Like the square bill rod is a MH with a Mod Fast action and composite materials. So you get more parabolic bend but have some meat to the backbone to be able to move fish out of cover. I've always said the fishing rod part of the fishing tackle industry is an odd duck. 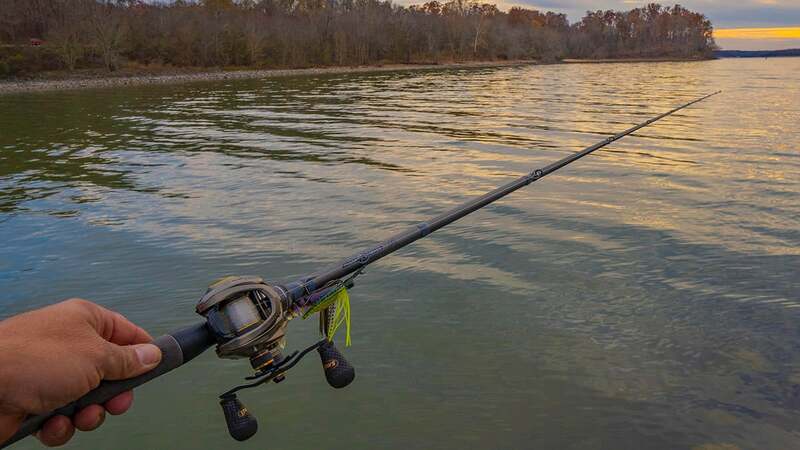 If you make a great rod at $70, it goes on the discontinued list quickly because guys won't buy it, figuring if it's $70, it's just a cheap rod. So you have to add enough features to a budget rod to get guys to buy into its quality. 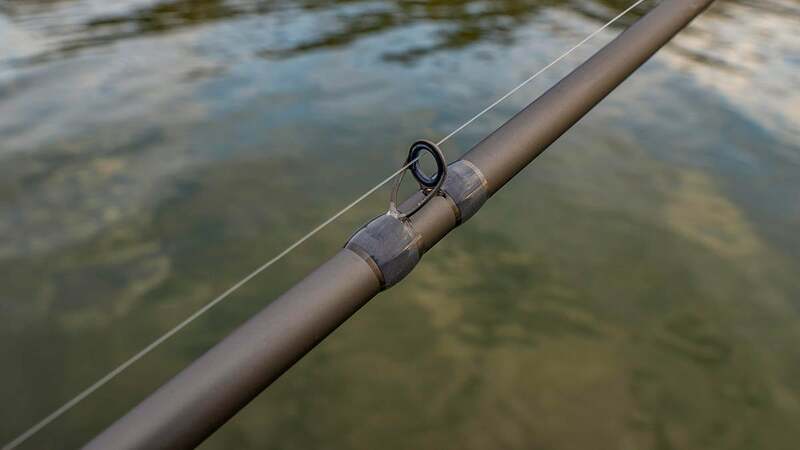 This rod is priced well with a lot of thought put into the combinations of materials, actions, powers and tapers. The lengths are right. I like that the rods have a little more backbone but still maintain sensitivity. I've fished about half the rods in the line now. I definitely have a few favorites like the One Eyed Jack, King Cobra and B-Hittay. I've fished them with braid, fluoro and mono. All the rods are legit, but those are a few of my favorites. 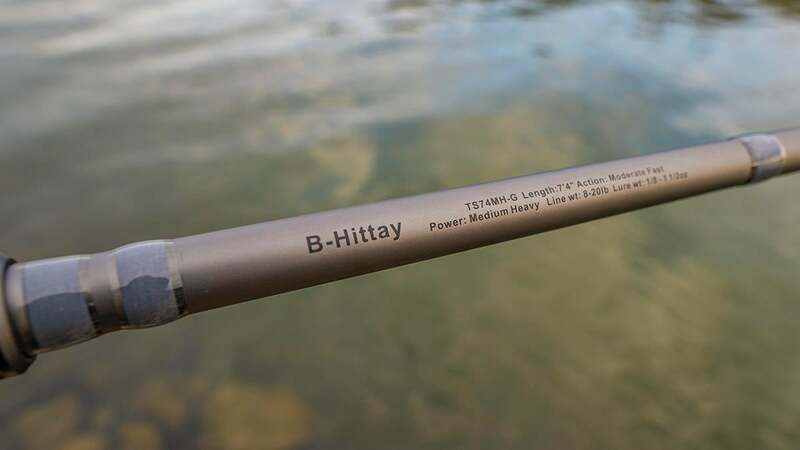 The B-Hittay is probably my favorite rod in the lineup. I will probably fish the jig rod more than all the others, but this is my favorite as far as its unique application. The action is really good. You can feel every shudder of a Chatterbait, and the fish load so well on it and stay pegged through the fight. It's got enough rear to pull on a fish, and it's not so flimsy that you can't skip a Chatterbait under a dock. But the action is so nice on it and the sensitivity is amazing. A couple of the fish I felt bite before I really felt the bite. What I mean is I could feel the Chatterbait quit "chattering" for about two wobbles, and then I felt the bite. It's that good. A lot of people still don't know about the Ark Rods line-ups. I've used the Sniper, and Invoker rods a lot, and they are some of my favorites of the last year. 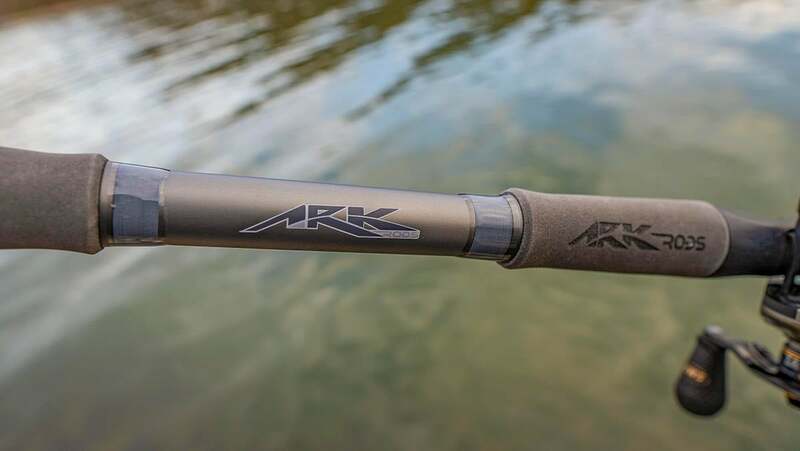 But I think a lot of guys will want to take a chance on Ark Rods at this price point and checkout some of the cooler combinations they've come up with in this rod line. I'd love to work with them on expanding out with a couple of swimbait rods, so we'd have a few good swimbait rods at $129 price point. If you're looking for a new Chatterbait rod or jerkbait rod, check out the Tharp Series at TackleWarehouse.com and ArkRods.com. I think you will like them.